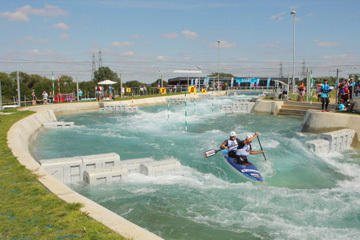 Lee Valley White Water Centre was the first London 2012 venue to be completed as well as the first to win the right to host a major tournament post Olympics (the 2015 World Canoe Slalom Championships). 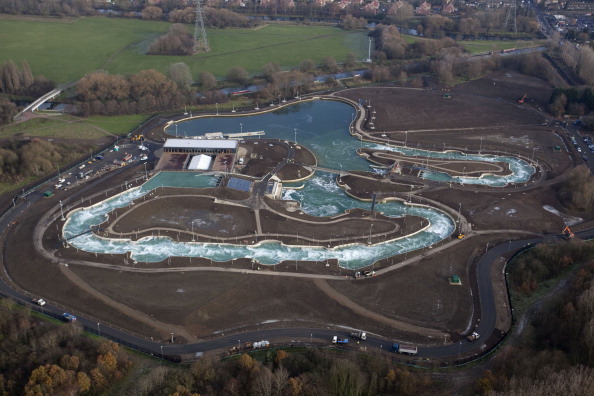 As well as the Olympic course there is a legacy loop for members of the public to use, and it should become a major white water rafting attraction. As the only purpose built venue for the Olympic Games open to the public to use prior to London 2012, it is providing an early legacy for Olympic Planners. The Centre was built 30 kilometres north of the Olympic Park on the Lee Valley Regional Park. The Park dates back to 1967 when an Act of Parliament brought the authority that governs the park into existence in response to a growing clamour and campaign to regenerate Lee Valley. Sir Patrick Abercrombie first proposed the creation of the park whilst the Second World War still raged in his 1944 Greater London Plan. The 300 metre competition course will have 15 cubic metres of water flowing into it per second, which is enough to fill a 50 metre swimming pool every minute. A new starting lake was constructed for the venue with white water created through a system of pumps and obstacles placed along the courses. A facilities building is constructed, and the venue is looking to utilise its space as for events, and even offer stag and hen parties to the public. The venue is located at the heart of the 10,000 acre Lee Valley Regional Park, a site which is approximately the same size as 25 full size football pitches. Canoe Slalom will take place over five days during the Olympic Games, with the 160m 'legacy loop' being used as a warm up / training course. Temporary seating for around 12,000 spectators will be installed during the Olympics, and taken down after the Games as the site is developed into the Lee Valley White Water Centre. 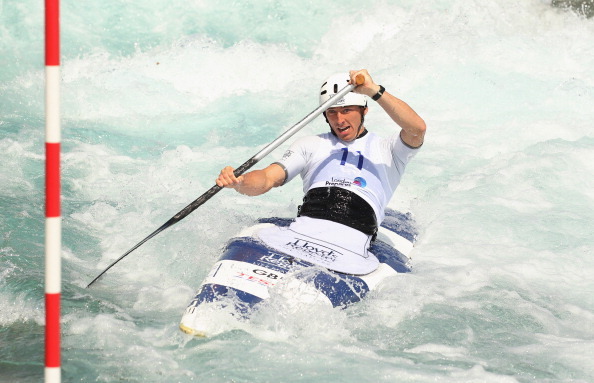 82 competitors are taking part in four events over the 5 days, and venue operators are confident of the Olympics having a lasting impact, with canoeing the fastest growing water sport in the UK.